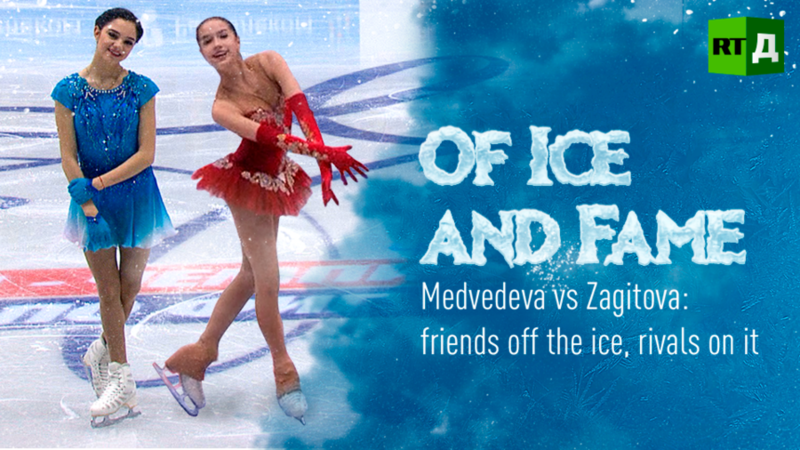 This film presents a unique behind-the-scenes look into the lives and training of two of the world’s top figure skaters, Evgenia Medvedeva and Alina Zagitova. In the spotlight, they soar and spin through the air while beaming radiant smiles. But their real lives include more discipline, devastating falls, and harsh criticism than perfect landings and effusive praise. Watch "Of Ice and Fame" on RTD website and on RT’s live feed. The time of the broadcast is available on RT’s schedule page.